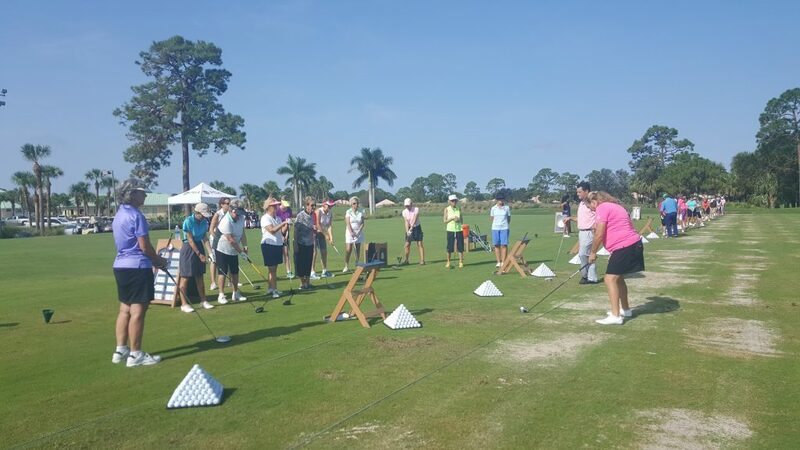 PGA Golf Club, in Port St. Lucie, got into the swing of things, hosting Women’s Golf Day on Saturday. 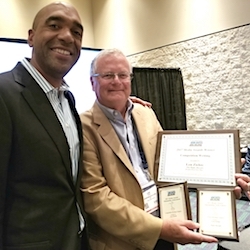 From the standpoint of this hurricane rookie and new Florida resident the damage incurred from Hurricane Irma was devastating – and it was. The entire state was impacted by one of the biggest hurricanes ever to hit the Sunshine State in mid-September – and that’s saying a lot because hurricanes are an annual concern for Floridians. 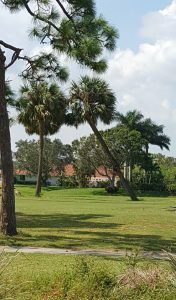 As big as Irma was, however, the state’s golf courses were spared serious damage based on reports gathered personally as well as from media outlets and golf friends from around the state. With the Florida tourist season starting to kick in, we’ll be doing further research and will make at least three trips to various parts of the state in the next five weeks. We will provide reports from the scene from golf facilities on both coasts as well as the central portion of the state. Until then, here’s a sampling of how a cross-section of Florida courses survived Irma’s wrath. 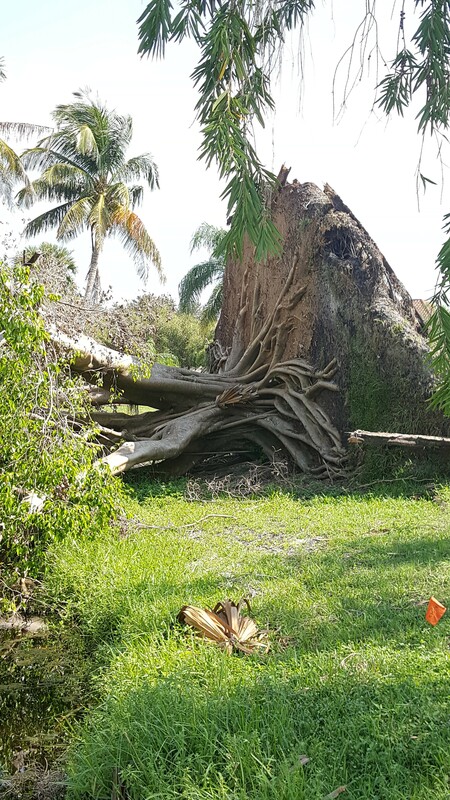 This big tree went down at The Evergreen Club, an indication of how strong Hurricane Irma was. PGA Golf Club, the designated winter home of the PGA of America’s 28,000 members in Port St. Lucie, resumed normal operations on Sept. 16, just five days after Irma touched down in Florida, and its PGA Learning Center and dining facilities reopened two days before that. PGA Golf Club encompasses four 18-hole courses but one, the Ryder layout, is undergoing a renovation, and won’t re-open until early December. 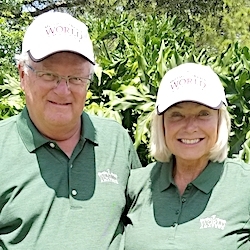 “We were fortunate in terms of the amount of damage at our facility, and our staff did an incredible job with the cleanup,’’ said Jimmy Terry, PGA Golf Club’s general manager. 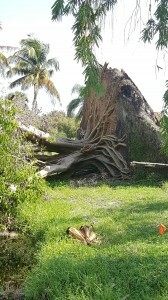 The Evergreen Club, a popular nearby public facility in Palm City, had the most eye-catching damage – a huge tree that was uprooted on its fourth hole – but golfers resumed play on nine holes of the course after only two days of cleanup and it’s now completely open though there’s still signs of tree damage. More than 250 trees went down at Innisbrook Resort, home of the PGA Tour’s Valspar Championship in March, but three of the courses re-opened quickly. None of the downed trees landed on a green or a tee box. Innisbrook’s North course was undergoing a renovation when Irma paid her visit, but its re-opening is planned for early November. 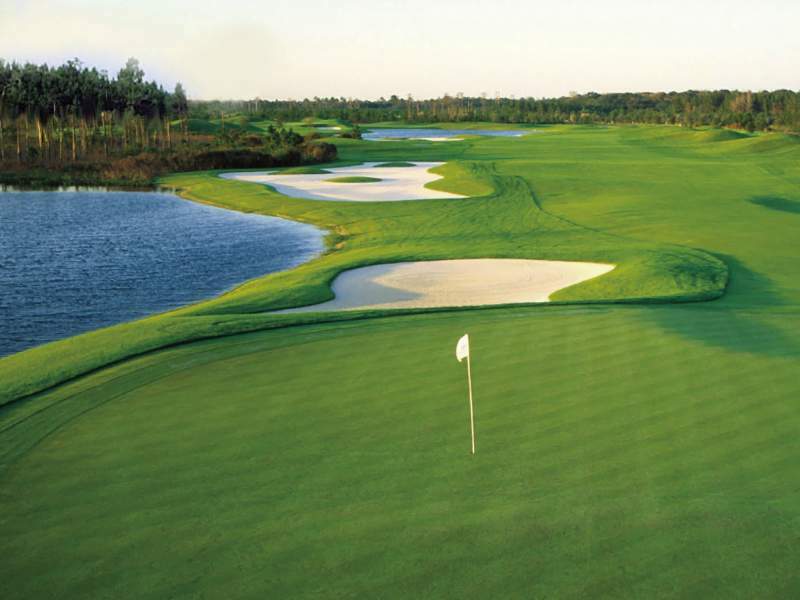 With its new greens, the Jones Course at LPGA International is ready those the Symetra Tour Championship Oct. 5-8. TPC Sawgrass, home of the PGA Tour’s Players Championship in Ponte Vedra, was hit harder though only 200 trees went down. Dye’s Valley was re-opened first and The Players’ Stadium Course opened on Friday. 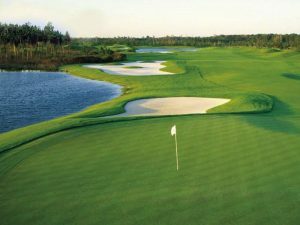 Mike Glenn, general manager of LPGA International, said all that resort’s courses but one were open after only a couple days of cleanup and the well-regarded Jones Course opened last week after a summer greens’ renovation project was completed. 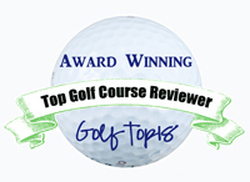 “The courses are in great shape. You wouldn’t know there was a storm,’’ said Glenn. Sailfish Point, in Stuart – a waterfront community in the southern part of the state, closed two days before Irma arrived and opened a few days after Irma left. Hurricane Irma couldn’t knock down this tree on No. 7 at The Evergreen Club — but it came close. The more centrally-located facilities didn’t feel the brunt of Irma. Reunion Resort, which has three courses in Orlando, needed only one day for cleanup before re-opening. Streamsong, near Lakeland, was fully operational on its Red and Blue courses and the new Black Course opened on Friday. Another of our personal favorites, Mission Inn in Howey-in-the-Hills, had only minimal damage on its El Campeon and Las Colinas courses but was very much involved in the hurricane recovery effort. The resort housed a number of energy company employees and transformed its ballroom into a makeshift shelter for 200 senior citizens forced to evacuate a nearby assisted living facility. Hammock Beach, in Palm Coast, had its Conservatory course open three days after Irma hit. That resort also provided lodging for over 50 of its employees and their families who didn’t feel safe in their homes during the storm. Hammock’s Jack Nicklaus-designed Ocean Course, though, remains closed. 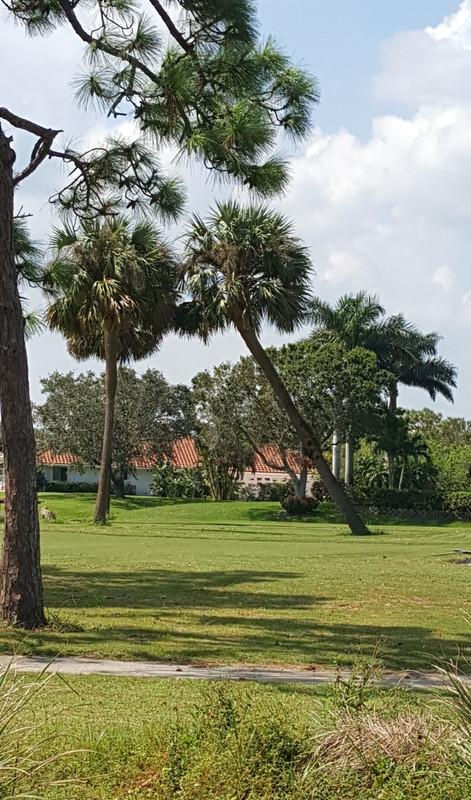 Last year’s visit from Hurricane Andrew created severe damage there and the recovery plan was upgraded to a restoration, leaving the course closed for a year. It’s expected to open later this fall.